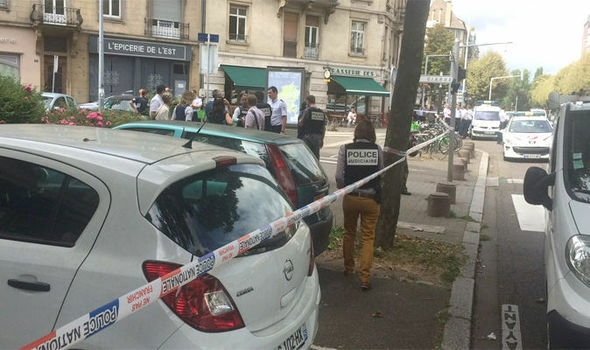 Bloggers4UKIP: Rabbi stabbed in Strasbourg by Muslim shouting "Allahu Akhbar"
Rabbi stabbed in Strasbourg by Muslim shouting "Allahu Akhbar"
A Jewish man, identified locally as a Rabbi named Mr Levy, has been stabbed by a Muslim man who shouted "Allahu Akhbar" as he attacked him. French police have said that the attack isn't terrorist related and ... wait for it ... the attacker "has a history of mental illness". The standard response now to Islamic terrorism is to dismiss it as mental illness and it's not only farcical but dangerous to do so. Islamic terrorism is a very real danger and it needs to be taken seriously. Attempting to cover it up by describing every terrorist attack as the actions of a mentally ill person fools nobody and sends a message to Islamic extremists that no matter what they do there will be no wider consequences, no restrictions on their ability to import terrorism and radicalise.